Toronto's Birds of Bellwoods have gathered an enviable amount of momentum for a band that are only releasing their first studio release, The Fifth EP, now. Although the alt-folk foursome had previously released 2014's Livewires, an EP of rustic elegance recorded in a living room, the far more polished The Fifth is a better encapsulation of the band's vitality both in track selection and execution. Recorded by producer Johnny Simmen (Colour Color, Mix with the Masters @ Studio La Fabrique) at A Stare Away Studios, the album captures the exuberant energy of a group that have gathered a substantial following from delivering spirited performances. 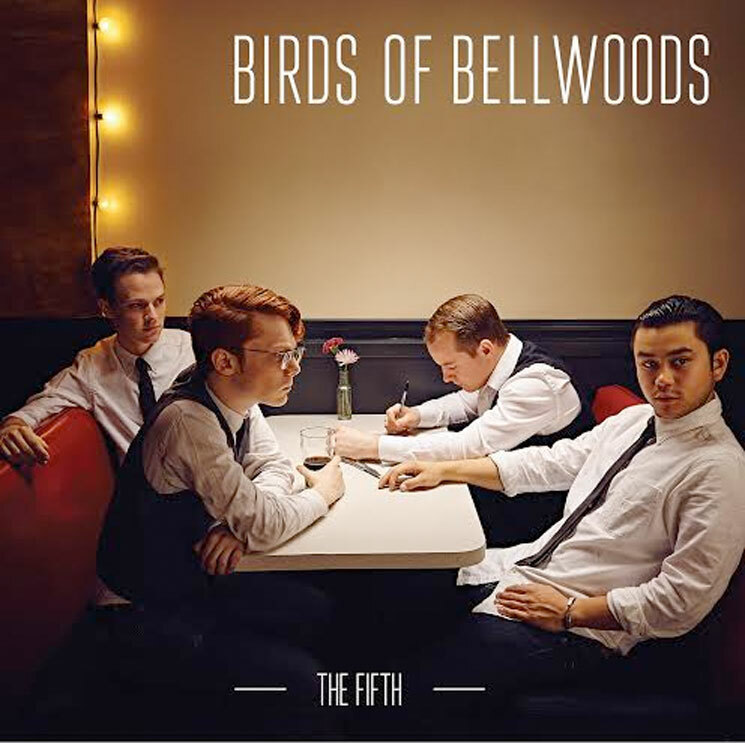 Birds of Bellwoods make a departure from their usual arrangements by featuring a percussionist (Simmen himself) on The Fifth. Rather than relying solely on Akiyama's upright bass and footfalls for rhythm, the lightly incorporated drums embolden the sound without hindering the more sonically mellow elements of the core instrumentation on songs like "Sky," while still providing the ticking motor for the title track and other songs. Further accompaniment is provided by Jesse Morrison's viola ("Sky") and Jeremy Foster's emotive violin ("Come Home," "Grey Ghosts" and "The Fifth"); the additional strings add an ambience and weight to the band's already gripping compositions. The group's vocals, perhaps the band's greatest asset, are meticulously executed and fantastically captured here, too; while singing duties are centered on the sometimes sweet ("Sky"), sometimes fierce ("Roll Your Stone") and always passionate performances of lead singer Stephen Joffe, the foursome truly soars when singing as an ensemble. Layered rounds on "Come Home" and the chanted refrains on "Roll Your Stone" are just two instances of the band working in harmony to create a product whose sum is greater than the individual parts.